Sol Petroleum, the newest entrant to Jamaica’s petroleum energy industry has made a huge investment towards the country’s youth. The investment comes in the form of the company’s Sol Scholarship programme, which awards students with academic scholarships to attend any of the University of the West Indies’ four campuses (Cave Hill, Mona, St. Augustine and Open Campus). Through the Sol Scholarship programme eight Jamaican students have been awarded scholarships valued at over JMD$10 million. 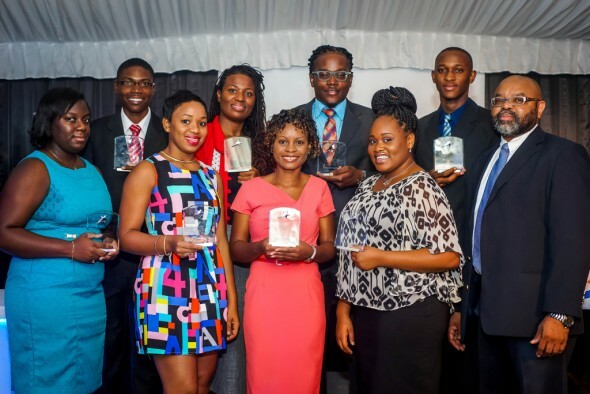 The Sol Scholarships were presented to the awardees during an Awards Ceremony, which was held on Tuesday, January 27 at the Mona Visitors Lodge at UWI Mona Campus. Attendees included Deputy Principal of University of the West Indies, Mona, Professor Ishenkumba Kahwa and Sol Director and Chief Financial Officer, Mr. Andrew Rollins. The Sol Scholarships were awarded to eligible students of the University of the West Indies at the undergraduate and postgraduate levels enrolled in Engineering, Social Sciences and Science & Technology Faculties. 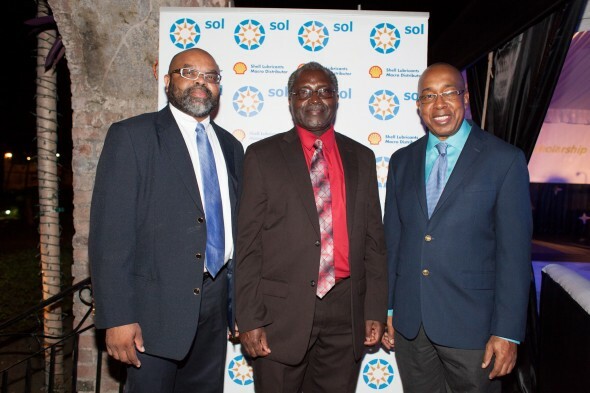 Commenting on the importance of the Scholarship programme, Gina Cummins, Brand, Communications & External Affairs Manager for Sol Caribbean Ltd. said that development through education has always been a major pillar for Sol Petroleum. She noted that the company’s education pillar is one reason why Sol decided to pursue this ambitious project which is aimed at providing academic opportunities for the best and the brightest the Caribbean has to offer. She added that Sol Petroleum Jamaica Ltd. (Shell Lubricants Macro Distributor) is ecstatic to be in a position to present the scholarships to the eight hard-working Jamaican awardees and that the company is committed to making further investments into the Jamaican economic landscape. (L-R) Robert Jackson, General Manager (Sol Petroleum Jamaica Ltd), Professor Ishenkumba Kahwa, Deputy Principal of UWI, Mona & Andrew Rollins, Director and CFO of The Sol Group.